For most screenwriting tutorials, the three act structure is going to be a key way in which the a story is given a beginning, middle and end for the film audience. This format is often the "go to" structure because it is a known structure that is found, in some level, across different storytelling mediums and is familiar to audiences who know how to relate to it. Here is a look at the three parts of the three act structure and what each part entails. Many screenwriting tutorials for the three act structure will look at how beginnings make up the first act, but there is more to it than that. This first act can be the set up of the entire film, and really ends only when the film's parameters and goals have been set up for the audience. In a practical sense, this can go far beyond what many people would consider the beginnings of the story. What the first act should accomplish first is the presentation of the main character and the general locaion and situation. That character's back story does not need to become entirely clear, but it should be established enough so you have a good sense of who they are and what their motivation is. What they should then do is set up the main presentation of the problem that must be resolved over the course of the screenplay. This can be considered the disruption of the main character's life that they are then inspired to resolve or an issue that they have to go out and repair. 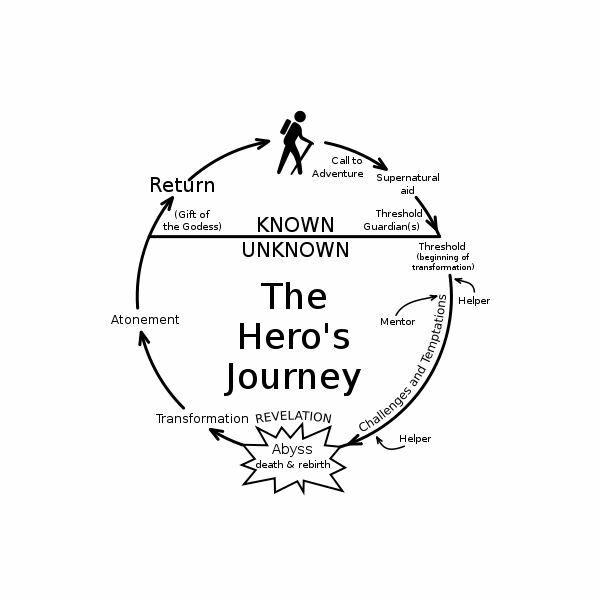 Joseph Campbell often refers to this as the Call to Adventure in his "Hero's Journey," but really is where the main character is drawn into a series of challenging situations. The point when they finally decide to take action, or we see they are going after that action, is often the conclusion of the first act. Most main characters should be introduced in this first act, as well as any major flaws, conditions, and strange limitations that may play into the storyline. Though there is no concrete page number that can be associated with the first act, there is often a more concrete page number that is associated with the first act than the other two. You can give yourself a general look of eighteen to thirty pages as a general rule of thumb, but this is not a concrete rule. main goal occur, challenges that happen, as well as doubts and intersections. This is what Syd Field refers to as the confrontation, where our main character challenges the problem and how this plays out is often the result of your story specifics. There is a certain sense in which the second act of the screenplay's three act structure is actually the most self contained story part of the film as this is where the main action occurs and moves to the second plot point, which is where a major turning point occurs in the film. The main point of the middle is to show the process of solving the established problem, which is established in the first act at the first plot point. All of this leads up to the eventual conclusion that comes in the third act. Since this is the bulk of the screenplay, you will find that more than half of the screenplay will actually be in this section and can run from around forty five to sixty pages, but this really depends on the overall length of your film in general. The third act of the screenplay's three act structure is the resolution of the conflict set up in the first act and confronted in the second. This is really the main conclusion and climax of the entire film and what is set up for throughout the script, though the hope is that the audience enjoyed the process of getting to that point. As with the other two acts, you need to approach the third act as if it has its own individual storyline that simply depends on the knowledge of the two independent sections that came before it. This means that you then have a beginning, middle and end that shows the final challenge, climax and resolution with closing action. This climactic scene or sequence is going to be the most defining for the audience because it is how they will remember the conclusion of your film so you should try to draw together all the elements that built up to it in a way that maintains the tone in an intensified fashion. Like the other two acts, the third acts has an approximate page count of fifteen to thirty pages. Field, Syd. Screenplay: The Foundations of Screenwriting. Bantam Dell: 1984. Sluber, Howard. The Power of Film. Michael Wiese Productions: 2006.